In a small mixing bowl, stir the first 6 ingredients together until combined, seasoning with salt and pepper to taste afterwards. 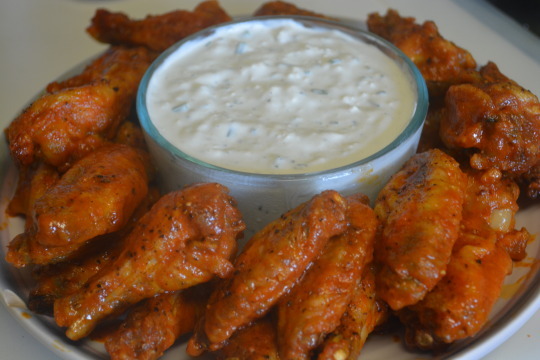 Serve with the chicken wings. 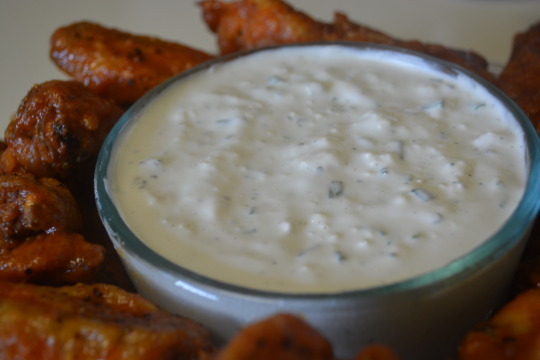 If you love serving blue cheese dressing or ranch dressing with chicken wings, then you’re going to loves this dip because it gives you the best of both flavors ! You can taste the blue cheese but it doesn’t overpower the other flavors in the dip that remind you of ranch. 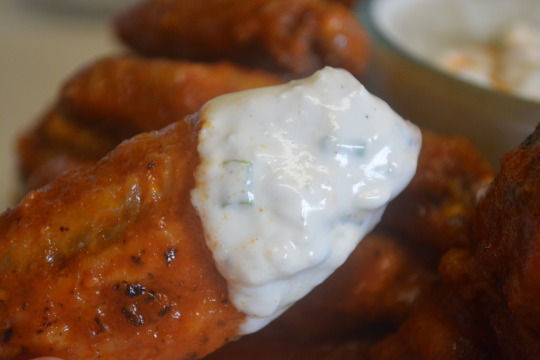 The Sriracha Buffalo chicken wing flavor paired perfectly with this creamy dip and we couldn’t get enough of eating the two together ! We got this recipe from Food Network magazine. We weren’t paid in any form to promote Food Network magazine.